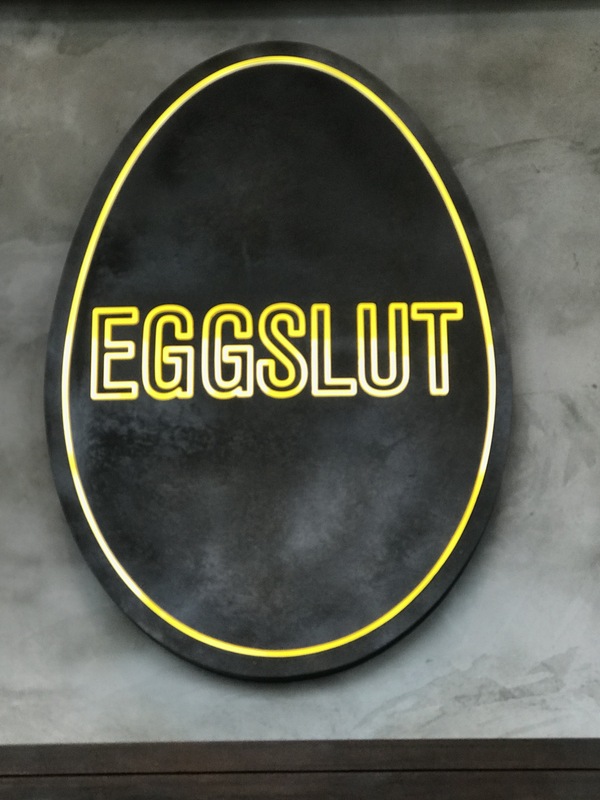 I don’t know if it is possible to go to Eggslut at any of their locations (DTLA, Venice, Las Vegas, Glendale) and not queue, but don’t be put off by it. It moves pretty quickly. 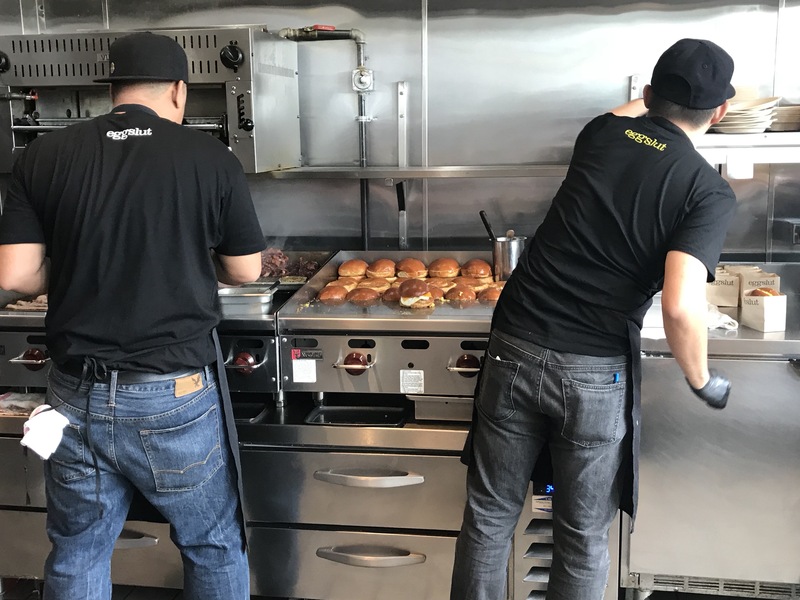 These guys consistently deliver on a great breakfast sandwiches. Watch them for 5 minutes and you will see them operating with precision, it’s like a work of art. You’ll get sandwich for under $10 which I think is reasonable given the quality of ingredients they use. Here’s a tip: don’t try and share a sandwich! Al & I decided to share 2 that we couldn’t decide between, what a mistake. I am confident he ate 3/4!! 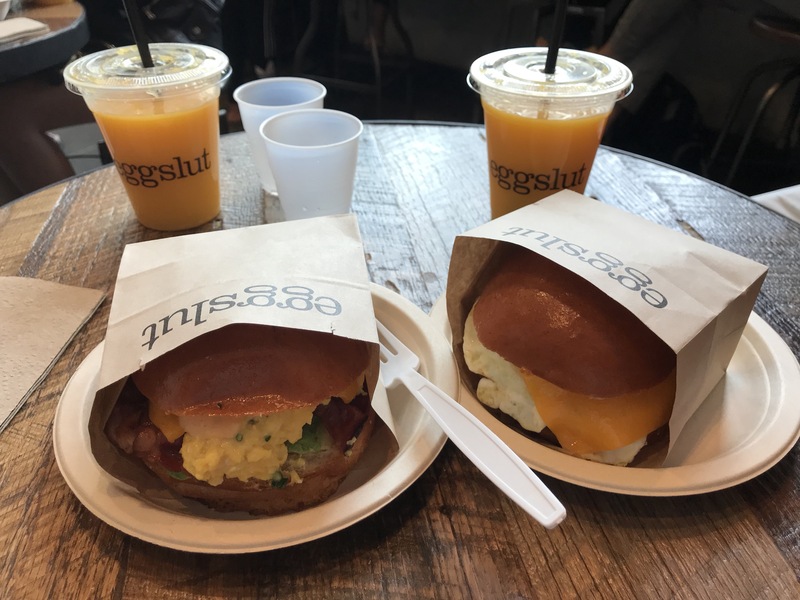 Normally we’d cut this in half and share that way but it’s not set up for that at Eggslut. No utensils to cut with and to be honest, you’d make a mess of your bun. So instead, I had to fight/race Al for my share 🙂 Next time it will be everyone for themselves! 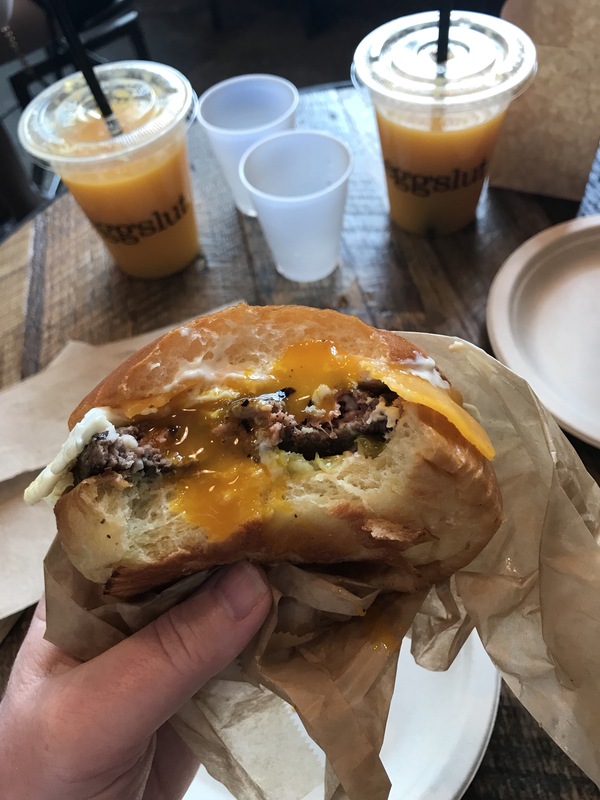 Cheeseburger: beef patty, fried egg, pickles and cheese. So, so good. I was hankering for a burger the day before so this was a big winner for me. Plus the pickles were really good (not something you normally hear me say). The beauty of the Venice location? 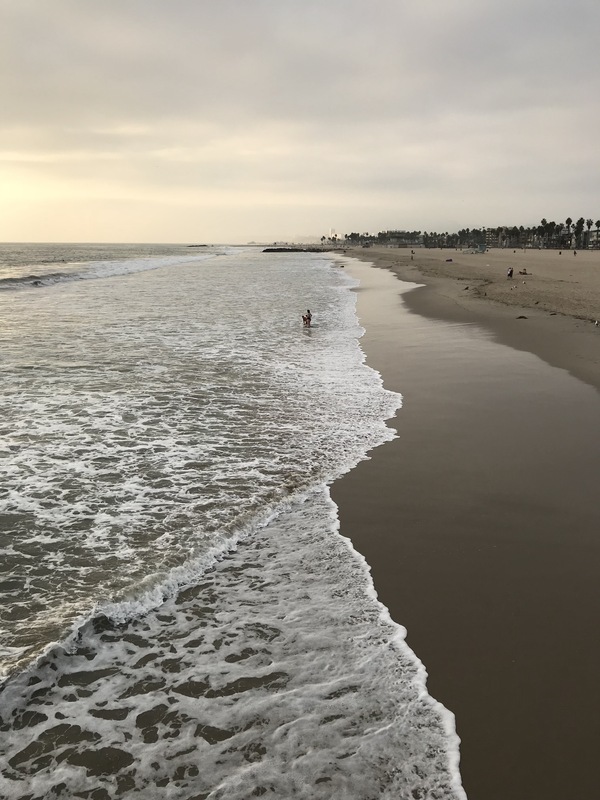 Aside from the queue seeming smaller than DTLA, you can walk off your breakkie along the beach after.